Dear Father: – I sit down to write you a few lines, to inform you of the condition of ourselves and our regiment. We have had a fearful battle. We started from our encampment on Saturday about 5 o’clock, to place a picket guard out all around the woods, so as to keep the enemy from coming on us unawares. We were out till about 2 o’clock Sunday morning, and then we were called in and joined our regiment, and then our regiment joined the main body of our army and took up our line of march for the battle field. We marched all night and part of Sunday morning, till we came up to the enemy’s masked batteries and then the cannonade commenced and then the different regiments were brought up in line of battle and charged on them, and then the musketry began terrible. Our regiment made three charges, and brave charges they were. We have some of our men killed, but we cannot tell how many they were. We had a march of 65 miles in twenty-four hours, and were fighting for at least four or five hours. Capt. Myers is all right, and Lieut. Bissitt and myself. – Capt. Jordan is wounded in the shoulder. Col. Wood is wounded. Capt. Baldwin is wounded in the foot. Lieut. Jones is wounded in the head. The color bearer is shot, but I do not know whether dead or alive or taken prisoner. The men are fagged out. Our feet were blistered, our legs swollen very much from the long walk. The enemy received great loss, and our army had a good many killed and wounded. Major Jourdan has shown himself a brave man. I do not know what we would have done without him. I think he has gained the confidence of the whole regiment, bot the officers and the privates. He led the regiment on bravely. – He was at the head of us all the time, and urges us on. You cannot have any idea of the feeling there is when there is a continual cannonading and musketry, and your friends falling all around you. It is an awful feeling. I, for my part, had more pluck than I thought. I was in the thickest of it, and by the providence of Almighty God, my life was spared to see the light of another day. 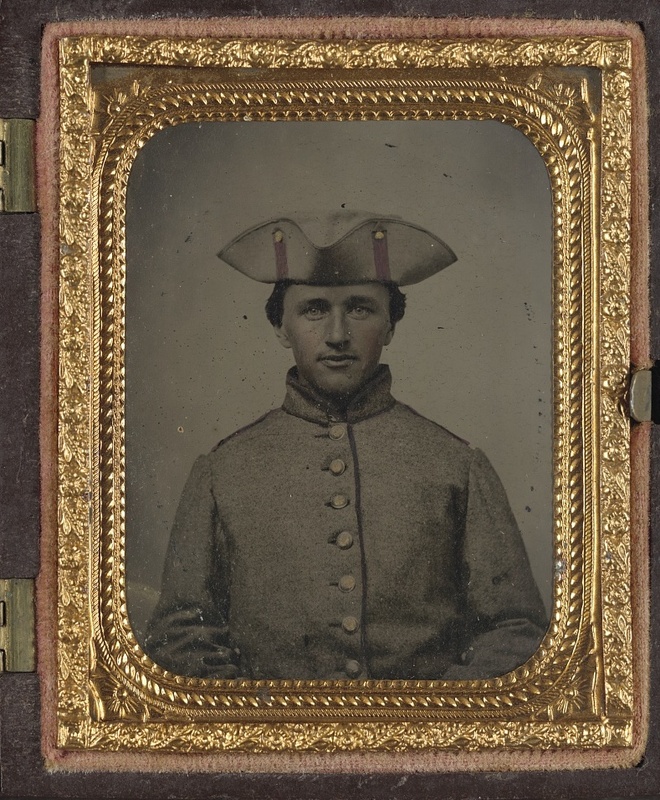 Co. C., 14th Regt., N. Y. S. M.